At Mesa, we value the special relationships that we build with our clients and their pets. We know what a privilege it is to be welcomed into your family, and we strive to nurture that bond each time you need us. The families and patients we are able to serve are extraordinary, so we want to ensure that the experience you have here with us is extraordinary, too! We are an eight doctor, full service, small animal and exotic veterinary hospital in West Denver, Colorado. 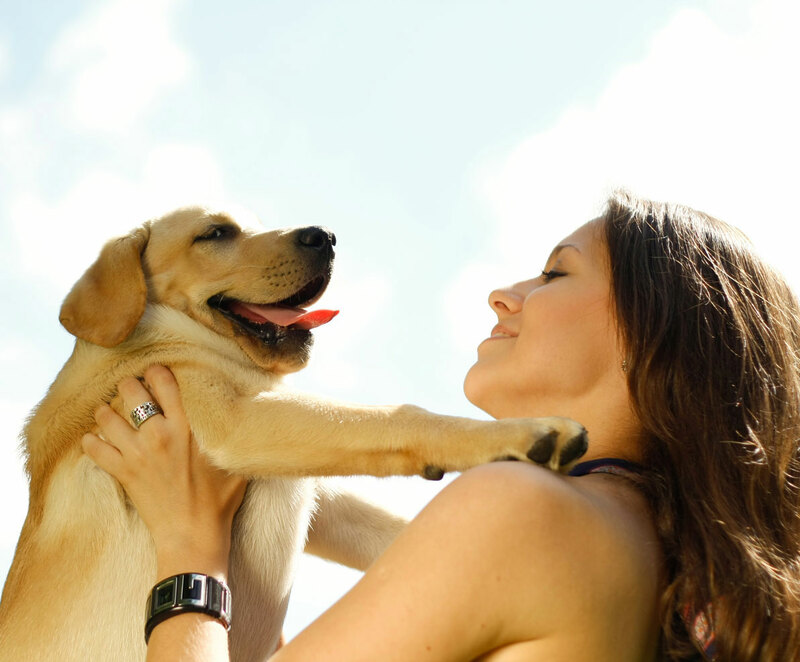 At Mesa, we celebrate and nurture the special role your pet has in your life. Alongside our experienced clinical and administrative team, we strive to provide compassionate, progressive, and exceptional veterinary care. We are located within the Applewood neighborhood in Golden and we have been a part of our community since 1974. Our veterinary practice is owned and operated by partners Dr. Stefan Rachwal, Dr. Steve Batch, Dr. Christine Horst, and Dr. Kitren Nickerson. Our team of associate veterinarians includes Dr. Julia Katzenbach, Dr. Alison McNeilly, Dr. Sarah Levine, and Dr. Marie Walker. We invite you and your pet to become part of the Mesa family, and we look forward to helping you both enjoy many happy years together. We have been a part of the community since opening our doors in 1974, and many of our clients have been bringing their pets to us for multiple generations. The level of trust and the long-term relationships we have fostered with our clients and their beloved animals makes the work we do incredibly rewarding! Ask your friends and neighbors about us, we are confident that they will have good things to say. We have received the highest level of AAHA accreditation and have been accredited since 1986. This means our hospital has been evaluated on over 900 standards established to ensure that our patients and clients receive the highest level of care. Only 12% of veterinary practices in the U.S. and Canada have made the commitment to comply with these standards. 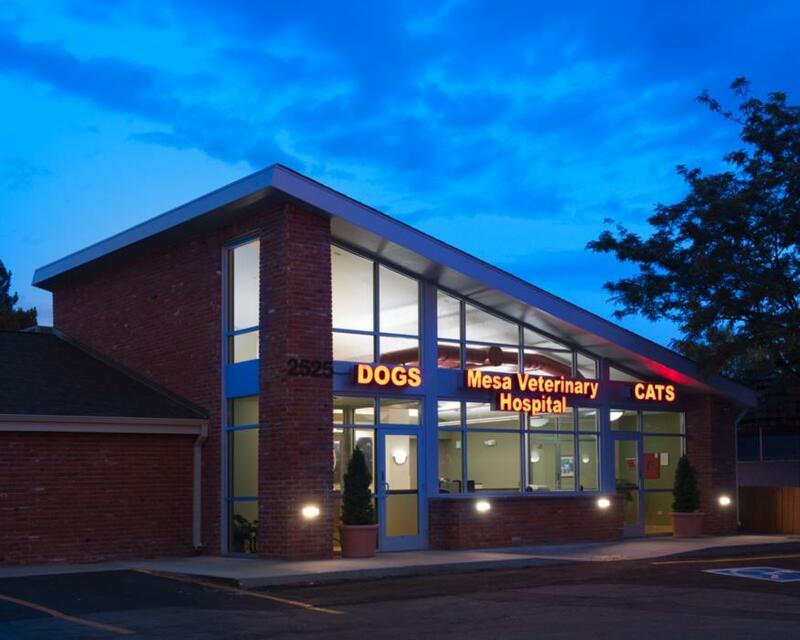 Mesa Veterinary Hospital prides itself in hiring only Certified Veterinary Technicians. Our technicians have all graduated from an accredited 2-year program in Veterinary Technology which allows them to sit for their certification examination. Our technicians are highly trained to provide your animal with expert care. We have a team of eight experienced veterinarians with varied interests that cover all areas of veterinary medicine from surgery to acupuncture. Our veterinarians are constantly discussing our patients with each other throughout the day in our shared office; this means you get 7 other “second opinions” on any case. Pets get sick on weekends and in the evening too, so when you find yourself needing veterinary care we are here to help! If your pet requires prolonged hospitalization, we have an excellent overnight staff to care for your pet, and in most cases no transfer to an overnight facility is needed. Throughout the years, we have had the privilege to form positive relationships with local specialists. As an established hospital, we are able to offer the specialty care your pet may need in a familiar environment. We have a board certified Cardiologist and Radiologist visiting our hospital weekly. Orthopedic procedures can also be performed in-house with our board-eligible surgeon. Mesa is able to care for ALL of your pets, including those with feathers or scales! Dr. Katzenbach has a wealth of knowledge in treating a wide range of exotics including birds, rodents, and reptiles. I cannot say enough good things about this veterinary practice. From the veterinarians to their support staff, the atmosphere is always professional and focused. I love this place, not only can they handle my dogs and my extremely aggressive cat (only when it comes to the vet) but they also took good care of my rat even though rats are rarely taken the the vet. If you are looking for a good vet, look no further. In almost 16 years, these are the best vets my dog ever had! I'll be grateful for this place forever. Give us a call to schedule your pet's next appointment.